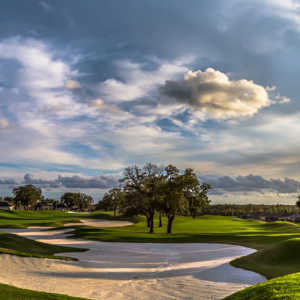 The 18-hole South Course at Big Cypress Golf & Country Club in Lakeland, FL is a public golf course that opened in 1987. South Course at Big Cypress Golf & Country Club measures 6680 yards from the longest tees and has a slope rating of 138 and a 72.7 USGA rating. The greens are diamond zoysia grass and the fairways are bermuda grass. The greens have been replaced with beautiful diamond tip zoysia and putt beautifully. As they are new, the greens are very furm, but they will soften up and be perfect by next Spring. The tees and fairways are top notch. 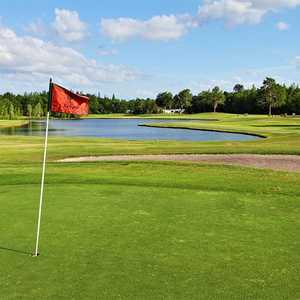 I highly recommend the course as it is the best in the area.